How to run multiple Yahoo! Messenger (multiple YM accounts) on the same PC ? 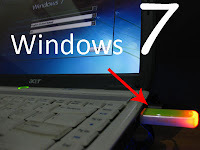 Insert your Windows 7 DVD and plug in your USB flash drive. If you're running Windows XP, there's a simple system health monitoring tool available right at your fingertips. The tool can be found in the Help and Support Center.